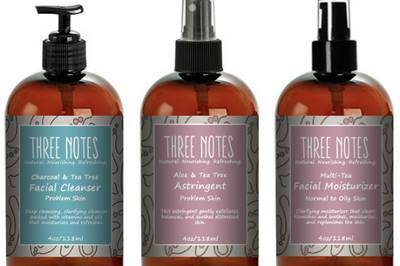 Enter your email address below to receive a notification when Three Notes Skincare starts accepting new sign-ups! 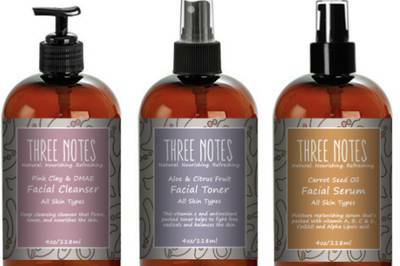 Enter your email address below to receive a notification when Three Notes Skincare is accepting new sign-ups again. 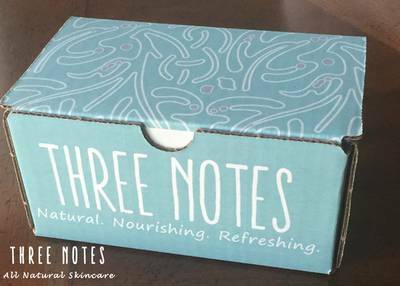 Three Notes Skincare boxes are shipped within 2 -3 days after receipt of payment. 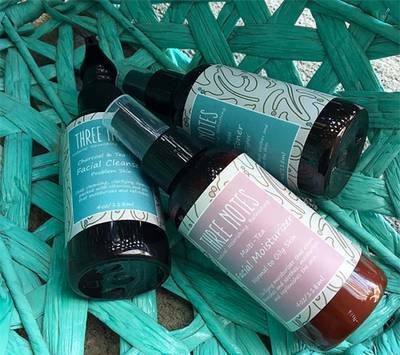 Every month you will get a natural skincare box that includes a cleanser, toner, & moisturizer that's made with natural & organic ingredients like coconut oil, aloe, teas, & therapeutic grade essential oils. 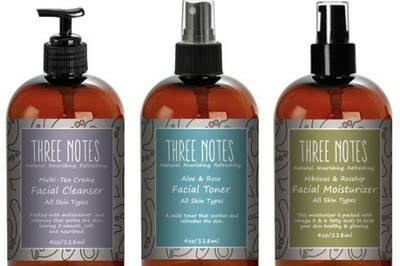 Every formula is custom blended for specific skincare needs & is packed with the vitamins & nutrients needed to nourish & heal the skin. I usually don't write reviews on any product I've ever tried whether good or bad but I HAD to write this one! I am currently using the Acne Box for a month now and I love it. I have never had an issue with acne, always had clear beautiful skin but one day I had this horrible breakout that just kept spreading and creating dark spots, I WAS DEVASTATED!! I tried going to the dermatologist for chemical peels and microderms and expensive creams but they all seem to break me out worse ! 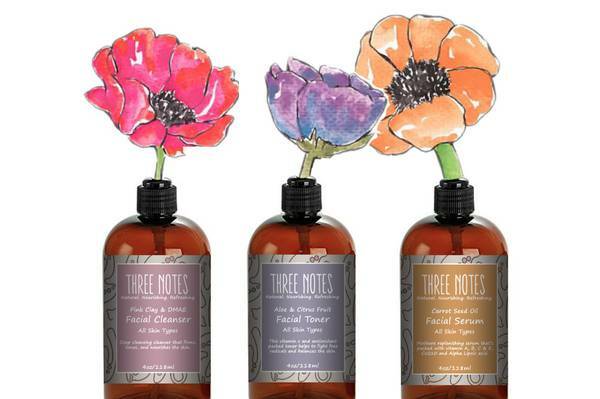 I saw this Three notes on IG one day and decided to give it a try , it had all natural products and I loved that idea. It came in the mail 3 days later and I used it the same day and night with my spin brush ( if you dont have one get one!) and boy what a difference I saw the same day . My face seemed lighter, and softer , the smell is amazing , stings a bit but its a good sting, the moisturizer is rich and keeps me moisturizer all day. If I have a breakout it is gone GONE or FLAT the next morning. IT WORKS !!! The rejuvenate box is just what the doctor ordered. My skin is glowing and feels so soft. It even appears to be brighter. I have gotten many compliment since I began using these products and highly recommend these all natural products over products with synthetic ingredients any day.